Comfort meets style in this superior quality sportswear. 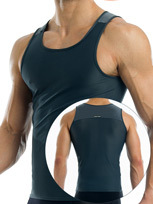 The Active Tanktop by Modus Vivendi is made from ventilated, sweat-wicking fabric for total comfort from start to finish! 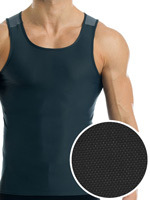 Techno sport fabric for a perfect, second-skin fit with two way stretch and excellent UV protective formula (UPF 50+).